Silver Spring, Md. (March 16, 2011) –From an exciting live webinar with world-famous conservationist and television personality Jeff Corwin to digital resources featuring Bill Nye, Sid the Science Kid and the MYTHBUSTERS, Discovery Education is offering the dynamic content educators need to teach environmental, sustainability and science topics on Earth Day. On April 19, 2011 at 1 PM EST, educators and students nationwide are invited to join Corwin for a free webinar offering an in-depth look at last year’s oil spill in the Gulf of Mexico. Presented by The Siemens STEM Academy, in partnership with Discovery Education, the College Board and Oak Ridge Associated Universities, this webinar will examine the intricate and widespread ecological effects of the spill on life in the surrounding ecosystem and beyond. Educators registering for this event will receive a lesson plan aligned to national standards to help prepare their classrooms to participate. Click here for more information or to register for this webinar. In addition to the webinar, Discovery Education’s content team has created a special Earth Day collection of resources available through Discovery Education streaming. 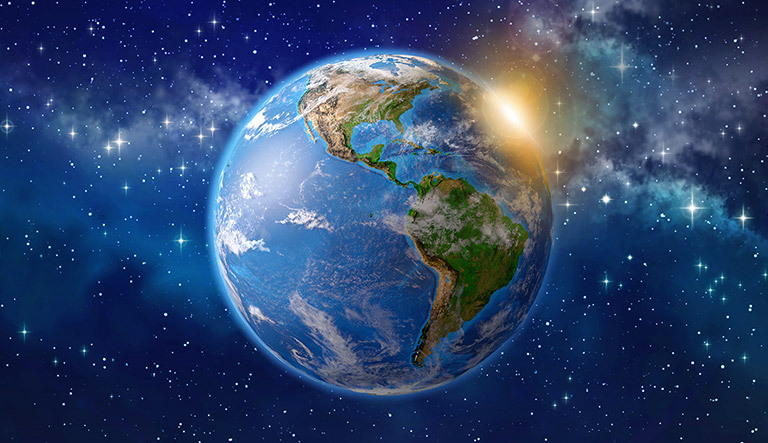 Empowering educators to engage students in a dialogue about Earth Day, this “theme page” is home to a dynamic selection of videos, images and articles on topics such as the history of Earth Day and the conservation movement, to help students learn the importance of protecting the world around them. Jeff Corwin’s Wild Life: Year of the Polar Bear—in this video, Corwin and his film crew travel to the Alaskan tundra to study climate change and its impact on the polar bear. For grade bands 6-8 and 9-12. The Vanishing Frog with Jeff Corwin—the world’s frogs are vanishing at alarming rates. In this video, Corwin investigates this troubling phenomenon. For grade bands 6-8 and 9-12. The Magic School Bus: In the Rain Forest—in this classroom classic, The Magic School Bus kids investigate rainforest ecology. For grade band 3-5. Stuff Happens with Bill Nye: Bathroom—through simple demonstrations, this video provides simple suggestions for going green in the bathroom. For grade bands 6-8 and 9-12. Sid the Science Kid: The Dirt on Dirt—in an Earth Day-themed episode, Sid wants to know what makes dirt so dirty. For grade band K-2. TLC Elementary School: Protecting Our Planet—this video discusses a variety of topics, including erosion, ecosystems and biodiversity. For grade bands 3-5 and 6-8. MYTHBUSTERS: Energy Conservation: Free Energy—the idea that free energy can be harnessed from the environment is explored by the MYTHBUSTERS. For grade bands 6-8 and 9-12.